Community involvement is the foundation of Grace platform. We believe a wide adoption of Grace is essential to the effective functioning of the network, which in turn can serve as a platform to revolutionize charity fundraising. Our goal is to make Grace an essential player in the world of charitable giving and nonprofits, by allowing charities of all sizes to leverage our network in their fundraising processes - such that even the many otherwise neglected but worthy causes can finally receive the exposure and donations they need. By participating in the bounty campaign, you can become a part of the Grace project. Early adopters can get involved by participating in any, or all, of the bounty campaigns outlined in the following sections. We have set aside 2,400,000 GRCEs (2% of total supply) for various bounties, which would be distributed to the supporters after the token sale. Here’s another reason to participate in the bounty campaigns: Even if you have no plan to keep your GRCE coins or utilize the network, you can always donate them to charity campaigns on Grace! Each of the following campaigns is allocated a fixed number of GRCE tokens. For each of the specified actions, participants receive “stakes” which are points used to calculate the final amount of GRCE rewarded. The reward amount is calculated by multiplying the total GRCE amount allocated to the campaign, by the proportion of the participant’s stakes to the total stakes in the campaign. Consider the following example. A participant, Alice, accumulates 100 stakes in the Facebook bounty campaign by liking, commenting and sharing. If the total stakes by all participants in the Facebook campaign at the end of the token sale is 10,000 stakes, Alice receives 600,000 * 100 / (10,000) = 6,000 GRCE for her contribution in the Facebook campaign. Any individual can participate in multiple campaigns at the same time, provided that they meet the campaign-specific requirements. Post or comment on Reddit about Grace to earn rewards. Upvotes on official Grace content is appreciated, but are not counted because it is too challenging to keep track. Rewards are for upvotes received on content you generate on Reddit (i.e. post or comment). For every 1 upvote, 1 stake point is awarded. • Please keep track of the links for the posts and comments so we may calculate the rewards fairly. 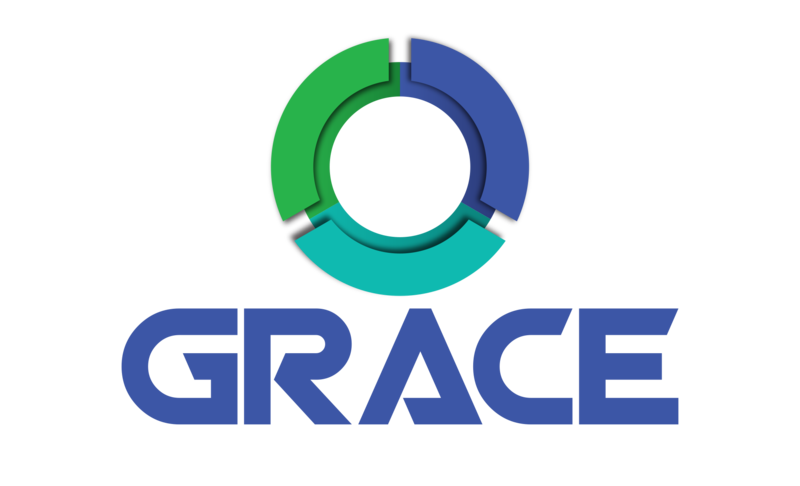 Help us spread the word about Grace on BitcoinTalk and you will receive a stake every week! Simply add the signatures provided below to your BitcoinTalk profile. • Signature for Member and Jr. Member. 30 stakes per week. • Signature for Full member. 50 stakes per week. • Signature for Sr. Member, Hero or Legendary. 80 stakes per week. • Avatar for all members: 30 stakes per week. • You need to make at least 5 posts a week in order for bounties to count. • Spammers will be banned from the entire bounty program and will not receive any GRCE for the points they may have accumulated prior to the violation. To ensure fairness, we manually and randomly check on the registered BitcoinTalk accounts for their signatures every week. Please see this spreadsheet for the languages that are already reserved. If our BitcoinTalk OP hasn’t been translated into your language yet, you are welcome to contribute with your own translation and earn a stake in return. Please contact us on BitcoinTalk or admin@gracetoken.org to confirm and reserve your translation. There will be additional stakes for each post you get in the thread of your translation. By submitting your own translation you also get an invitation to our moderator’s internal Slack group, where we will help you answer any question for your local community. We’ll distribute 360,000 GRCE tokens for blog posts. Blog posts can be published anywhere on the internet and publicly accessible, and can be written in any language. YouTube video contents are included in this section. On the official Grace Facebook page, we will be posting blogs, news articles, and updates about Grace. Every like counts, so be sure to join in to get your share of our Facebook bounty. • For your stakes to be valid, you must be subscribed to our Facebook page. • All shares must be public. Any invalid share (e.g. “private”, “single person”) will cause the participant to be flagged and the participant will not receive any bounty rewards. Never miss any of our updates! Follow us on Twitter for our latest insights and retweet our news to your group, friends and followers. • Your most recent Twitter Audit must be above 60%. Participants in the bounty campaign earn stakes by carrying out each of the aforementioned actions. The number of GRCE tokens allocated to each category will be proportionally distributed among everyone participating in the bounties in that category, according to the stakes earned by the participant. The total bounty pool to be distributed is 2,400,000 GRCE tokens. Neither the min/max sales target nor the amount in ETH raised from the crowdsale impact the bounty pool — the 2.4 million figure is fixed. Following the crowdsale, all stakes data will be calculated, whereupon the winners and bounties will be officially announced. Participants will be asked to send their ETH wallet addresses (https://www.myetherwallet.com/) to admin@gracetoken.org to claim their bounty. waiting update for bounty social media.dev when start bounty social media? Its link for facebook and twitter campaign is not available. Please fix it dev. Thanks for your interest! The forum kept blocking the links to the registration forms that we posted earlier. I've gone to that link ,, but why can not I register? Looks like registration is in key .. please update .. because i am interested to join in your project .. This project is very good, it would be very beneficial if able to participate in this project. Good job..!!! I sent a PM regarding translation. Kindly reply, it would be nice being engage with such very interesting project like this one. Links on Medium for registration saying permission required to enter.Kindly check the links. "This form can only be viewed by users in the owner's organization. Sorry about the inconvenience earlier, the links have now been fixed. I sent a message to you about the translation of the announcement into the Portuguese language. Joined the your twitter and facebook campaigns Sir. Where the spreadsheet? and when the ICO will be end? Thanks. and when the ICO will be end? Thanks. I got the same question. Can you please provide the Spreadsheets of Participants?